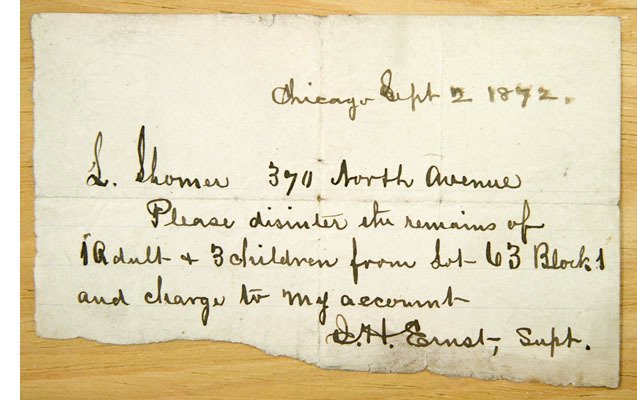 Chicago Park District Special Collections. 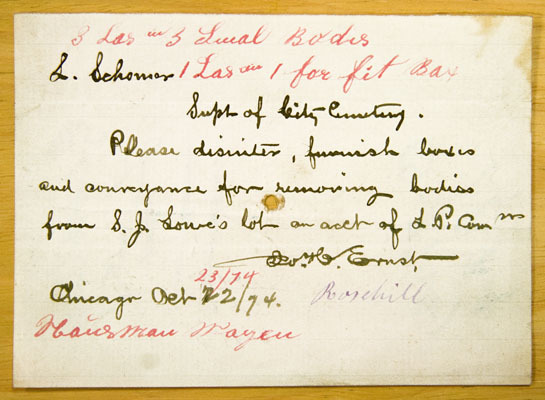 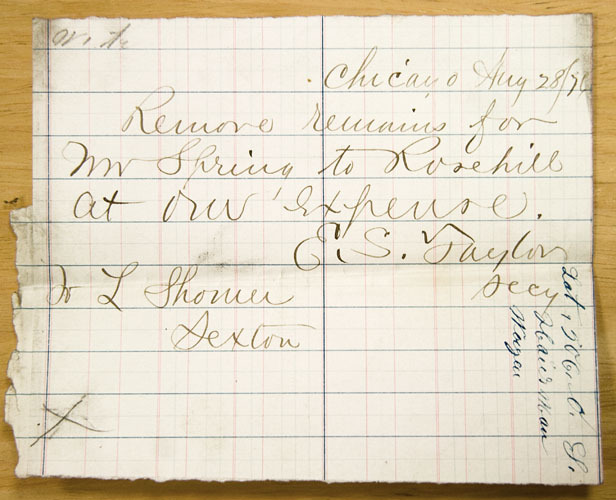 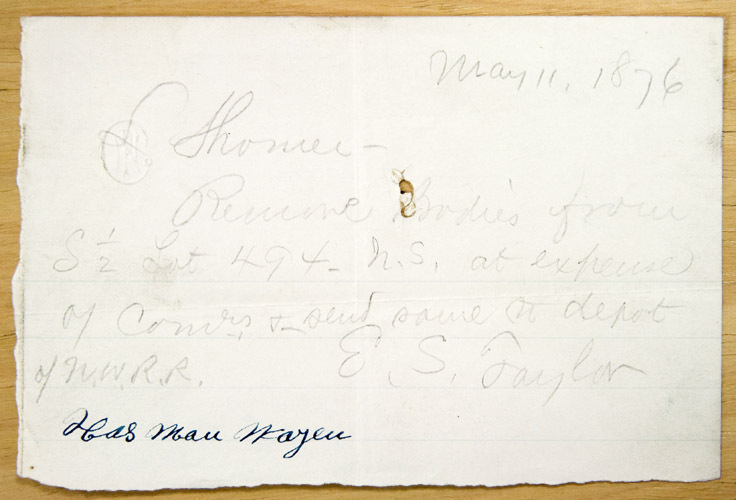 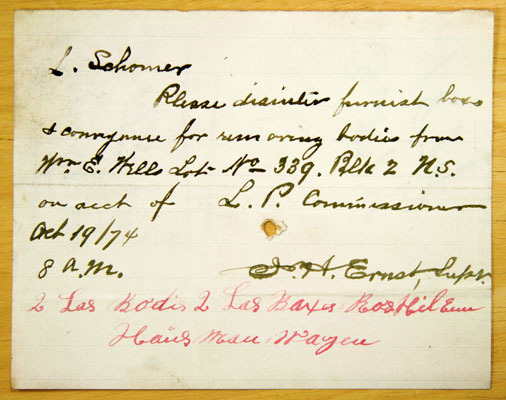 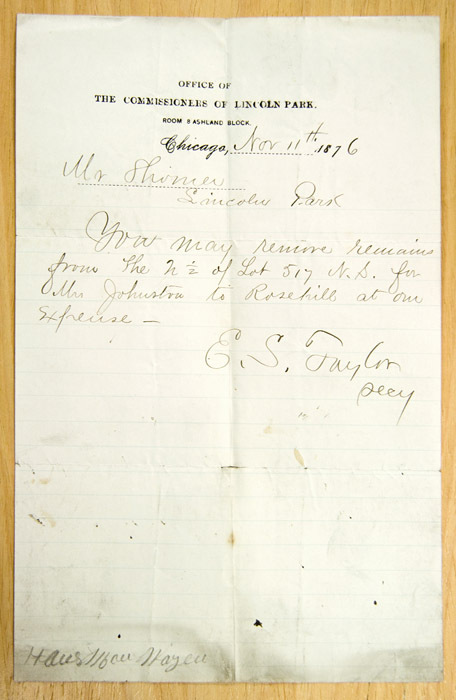 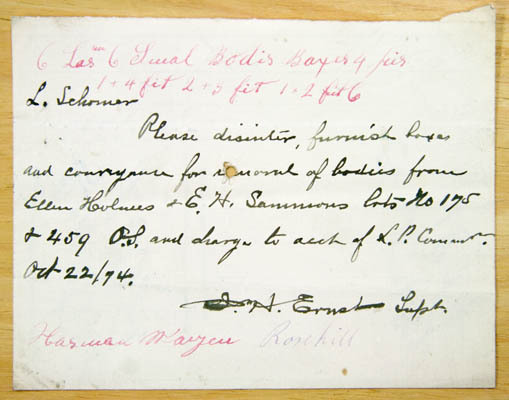 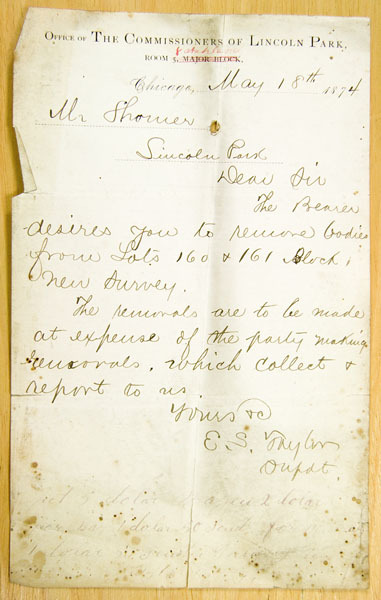 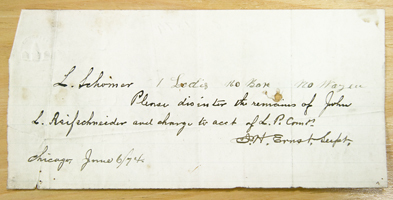 These scraps of paper are records of orders to L. Shomer for disinterments. 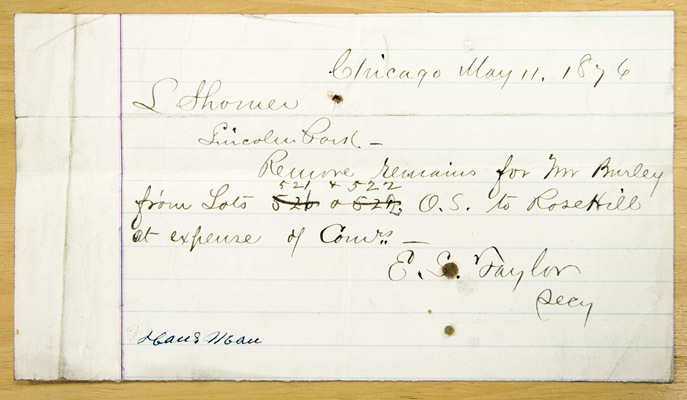 A Chicago Tribune article from September 30, 1864 reported, Leonard Shomer has been appointed as gate-keeper at the City Cemetery in the place of Mr. Langholtz. 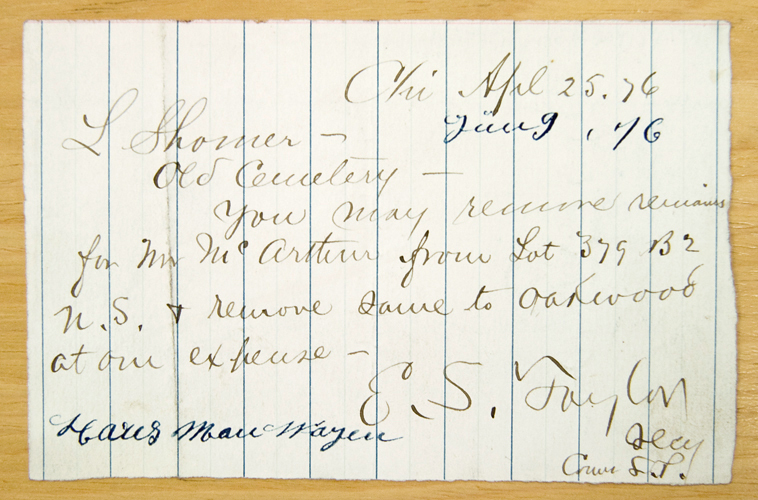 Mr. Shomer has been employed in the Cemetery for nearly twenty years and is a faithful man. 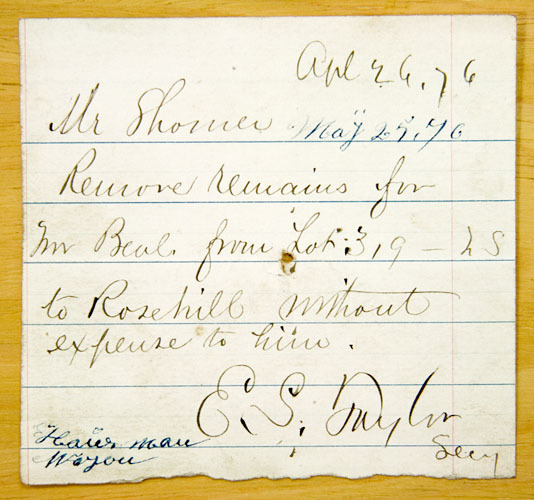 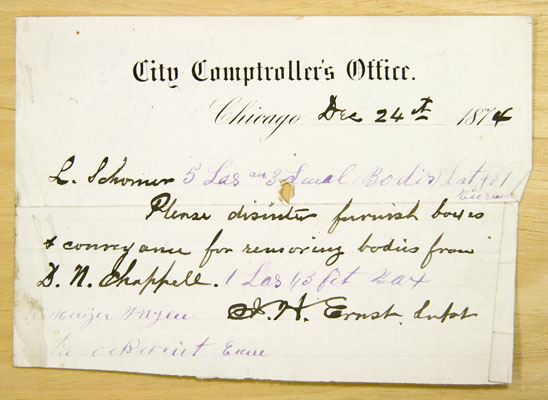 The article indicates that by the time Shomer received these disinterment orders, he had been working at the City Cemetery for more than thirty years, beginning in the mid-1840s. 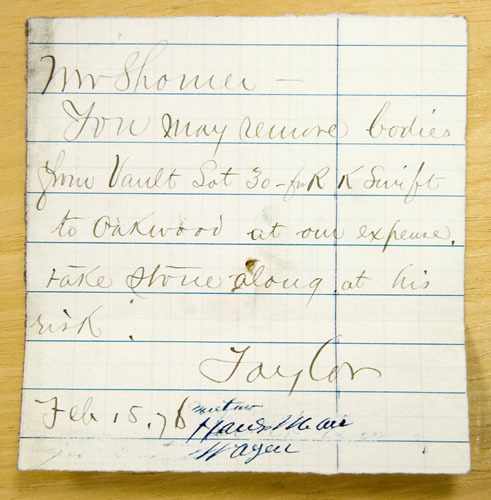 He had likely buried many of the individuals he was ordered to exhume. 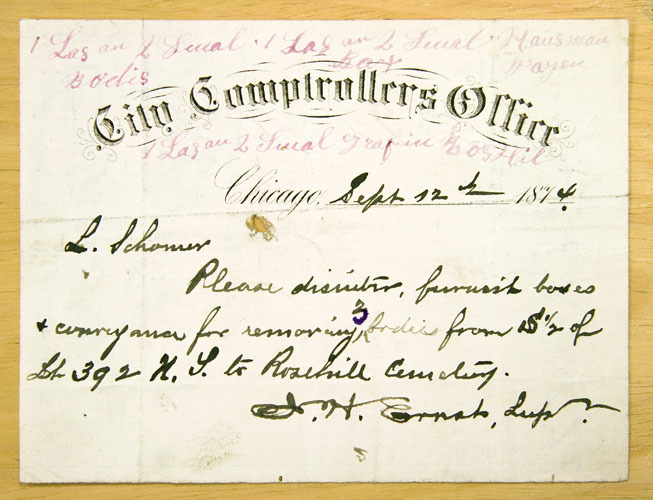 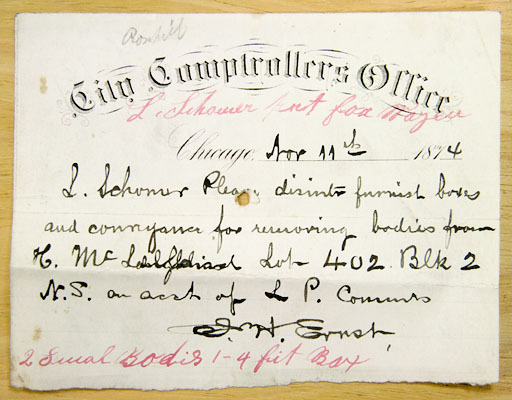 There are no records of any disinterments in 1877, but the Lincoln Park Commissioners' Annual Report listed cemetery lot exchanges and transactions from 1878 - 1895. 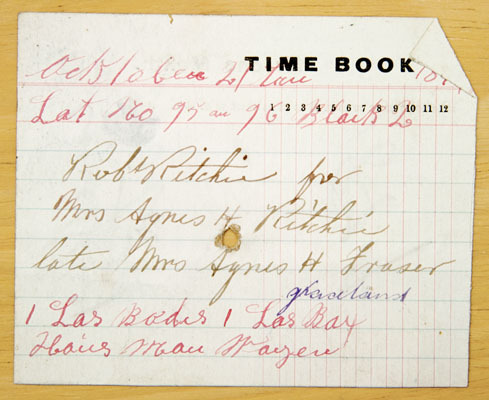 See those records here.